John Pink is a short story writer, a professor, and a lover of languages. Born and raised on the island of Puerto Rico, he now lives in Baltimore, Maryland. He has a Master's Degree in Teaching English as a Second Language from the Inter American University in Puerto Rico. The writer has already published a few short stories, including "Lamplight Symphony", "The Fall of Charon", and "As Long as It Takes". John enjoys writing and reading stories about the human struggle. 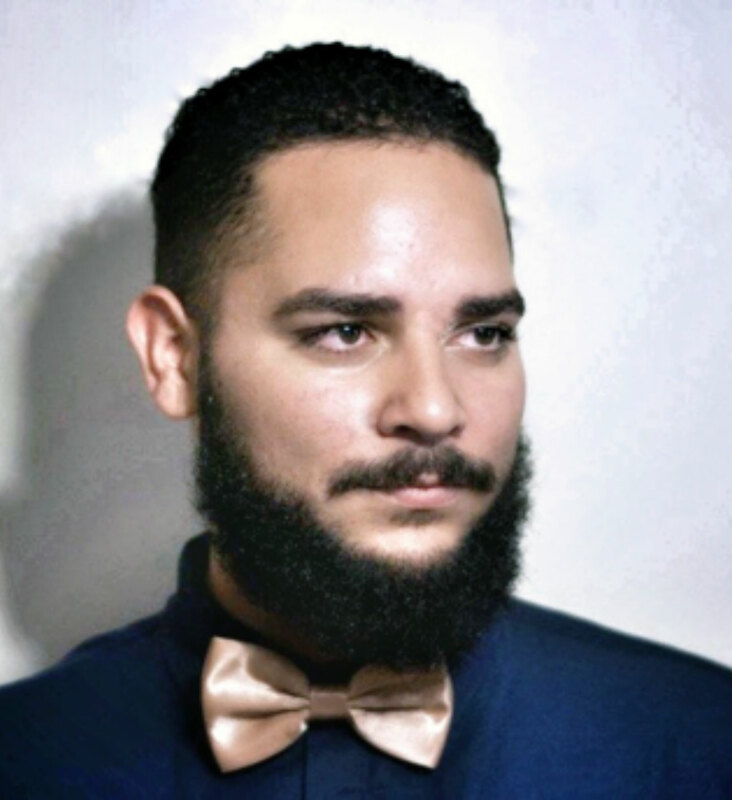 His interests include photography, learning new languages, and research about the cohesion between the English language and the Puerto Rican dialect. He is currently working on a fiction novel and a collection of short stories. In a conversation over a meal and drinks, the value of the arts came into question. The prompt was a young female performer, armed with five minutes and a guitar. She closed her eyes and immersed herself passionately in her craft. Not once did the artist open her eyes to capture the public’s reaction; she used all her other senses to their maximum potential. She fell to the floor in agony, she stood in despair, and bent over her guitar with sheer and utter joy. After witnessing that captivating performance, the question that arose was: “Are the arts useful?” This led to a long debate, where the perspectives of three different discoursers at the table emerged. The first speaker was a cartographer. He was an advocate of organization and practicality; he believed that everything in life, including humans, were merely cogs in a well-oiled machine with a specific purpose, and that purpose should be essential to society as a whole. He did not find practical usefulness in the arts. The other was a scientist, believing only in what he could see and prove, who was convinced that everyone should strive for the betterment of humanity. He admired the arts, but failed to see tangible evidence that proved he could use the word ‘useful’ to describe them. The last debater was a linguist, an aspiring writer and a lover of words. He acknowledged the cartographer had a point; the writer believed that humans have a role to play in society as well. He saw the demurral in the scientist’s eyes, and could not help but wonder if the arts contributed to humanity as universally as the scientist’s expectations led him to believe. The writer reconciled and declared that the word ‘useful’ must be defined in order to arrive at a conclusion. Can the sound of music be a cog in the societal machine? Can the words in poetry be evidence of the betterment of humanity? Can paintings contain a hidden language that is made for humans to decipher? Theater gives us life on display and shapes our morals and judgement. Literature gives us imagination, fuel for our thirst for discovery. Music gives us a voice when we are not able to find the words. The arts and entertainment provide humans with an escape route, one away from the predictability of a machine, away from pressure and expectation. Life is mirrored through prose, through colors and sounds, the arts echo the pain and joy of human beings throughout eternity. Art makes humans feel; to feel is to live, and there is nothing more human than life. As the conversation came to an end, the friends toasted to life, which cannot be placed practically in boxes and the purpose of the arts is to remind us of that.